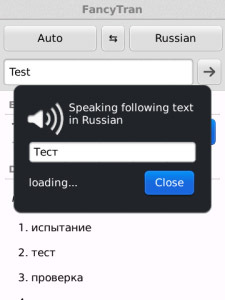 Currently supports Google and Bing translation engines with Text to Speech pronunciation. Supports over 60 languages for translation and over 50 for pronunciation. It has dictionary mode for most languages and providers transliteration for non latin languages.